How certain are you that you will live to see tomorrow? How prepared are you to face Allah (SWT) with your current actions? How prepared are you to fulfil the funeral rites of your loved ones in a manner according to the Qur’an and Sunnah? Indeed death comes un-announced and the wisest is the one who prepares well in advance of the striking of this inevitable reality. Join us for a comprehensive course on making the necessary preparations before death, the process of death and how to perform the funeral rites correctly, including: bathing, shrouding, janazah, burial, benefitting the deceased and much more. Do not miss this opportunity to remind yourself of your true destination. The Quran and Sunnah consistently remind the believers of the importance of gaining Islamic knowledge and implementing it in our lives. This is your opportunity to act upon this reminder and take away valuable new insights about the Deen of Islam for the pleasure of Allah, Most High. Before our own return to Allah we will face the demise of many friends and family- learning the correct teachings and rulings around death is crucial for the salvation of our souls. Individuals who cannot devote their time for full-time Islamic Studies, thus seeking alternative, quality, Islamic courses. Individuals wishing to increase their understanding and revive the Islamic Spirit through understanding and implementation of the Sunnah. Individuals who wish to partake in comprehensive learning of the topics surrounding death in a friendly and professional environment. Individuals who wish to benefit from practical workshops to strengthen their learning. An inspirational and spiritual uplift for your Imaan as well as an increase in love and appreciation for these great women who hold a special status in the hearts of the believers. Course material containing clearly structured notes that can be used as a source of reference in the future. 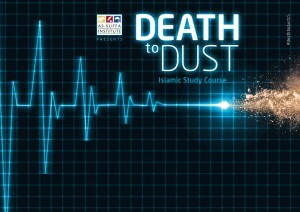 A unique insight into the teachings of Islam regarding death, the grave and beyond, as well as authentic rulings on all legal matters pertaining to ghusl, shrouding, janazah etc. Answers to some of the most pertinent questions regarding the time of death, the grave, misconceptions and cultural innovations surrounding death.